This entry was posted on Monday, May 22nd, 2017 by Frances Ryan. Yesterday was (would have been?) 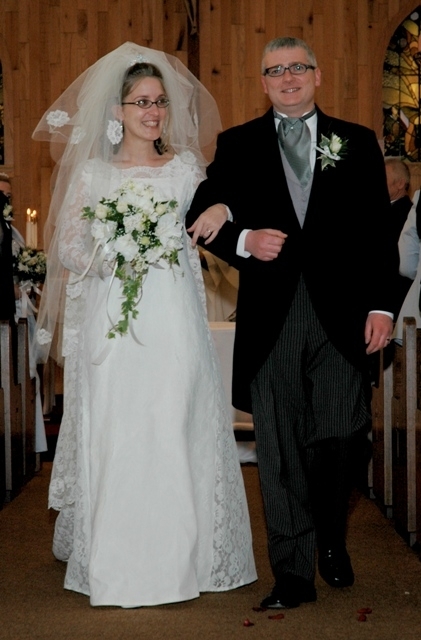 my 12th wedding anniversary. And much like last year, I spent the day distracting myself with my PhD before taking some time to reflect and remember my happy days as a happy wife. This year was a bit different, however, as I didn’t spend the day alone. Instead, I travelled to Falkirk in the afternoon after spending the morning in my office. The choice to travel to Falkirk was made because The Wine Library was hosting a “taste of the Americas” wine tasting. I know the sommelier and her husband, so whilst she was busy sharing her wisdom to a group of wine enthusiasts and hobbyist, I enjoyed a bit of wine with her husband and one of her friends. By the time the day was over, I had enjoyed too much (really good!) wine. But I hadn’t shed too many tears. And that was a nice change from past anniversaries. I admit that I cried when I finally arrived home and the memories of my wedding day came flooding back to me. And I admit that the pain of widowhood on what should have been a happy celebration of marriage hurt. But the hurt has softened, even though my love remains. Happy anniversary, Paul. I luv ya, luv!